15" Double T Roughout Barrel Style Saddle. 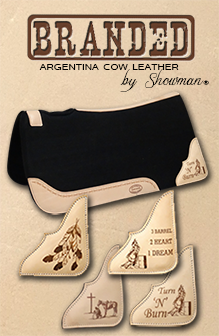 This saddle is complete chocolate brown roughout leather and has a natural buckstitch trim. 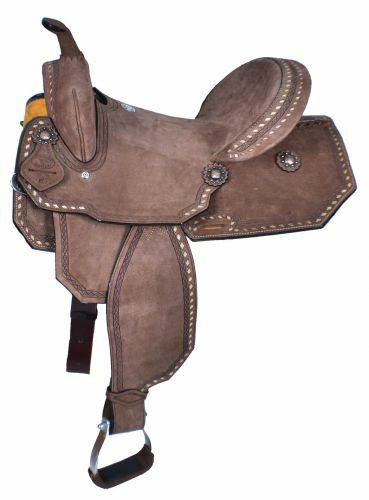 Saddle is accented with copper colored conchos and is equipped with front D rings, aluminum stirrups, leather latigo and off billet.